Hadley-Clarke Mortgages are based in Mangotsfield, Bristol and offer advice in the Bristol, Bath & surrounding areas. We offer FREE Mortgage Advice, along with flexible appointment times and locations to suit you. 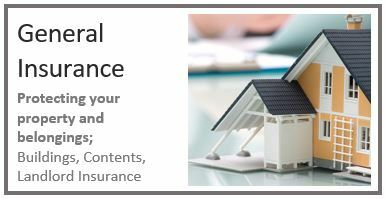 We specialise in three main areas; finding and securing the right mortgage for you, advising on Personal, Family and Mortgage Protection and arranging Buildings & Contents Insurance. 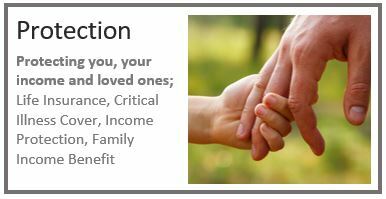 We support you throughout the entire process, right from application through to completion. We’ve got you covered! Watch to find out how. At Hadley-Clarke Mortgages, our aim is to secure you the most suitable mortgage based on your individual needs and circumstances. We search and compare a comprehensive range of mortgages from across the market, including mortgages from High Street and Private Banks, Building Societies, Specialist Lenders and Broker Only Lenders. Whether you are a first time buyer, remortgaging your home, moving up the property ladder, buying to let or perhaps have a poor credit rating, we can help. Everything is explained in plain English and you will receive regular updates throughout. We make mortgages simpler. At the same time as helping you secure your mortgage, we will talk you through your options around protecting your home, belongings and loved ones. 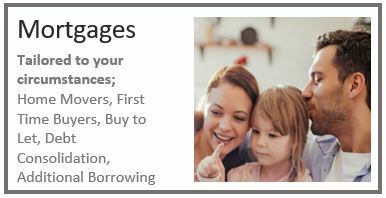 Contact today by telephone; 07748 800587, by email; advice@hcmortgages.com, or by using the contact form. We do NOT charge a fee for Mortgage or Protection Advice, we receive commission from the provider. Hadley-Clarke Mortgages is a trading name of Zoë Hadley-Clarke. Hadley-Clarke Mortgages is an Appointed Representative of PRIMIS Mortgage Network, a trading name of First Complete Limited, which is authorised and regulated by the Financial Conduct Authority (FRN:435779). First Complete Limited’s permitted business is advising and arranging mortgages and non-investment insurance advice. The Financial Conduct Authority does not regulate some forms of Buy to Let. Bristol based Adviser Hadley-Clarke Mortgages offer mortgage advice and protection advice at your home in Bristol (BS) and Bath (BA) including; Alveston, Almondsbury, Avonmouth, Backwell, Bedminster, Bradley Stoke, Bristol City Centre, Brislington, Broadmead, Cadbury Heath, Chipping Sodbury, Clifton, Coalpit Heath, Coombe Dingle, Cotham, Downend, Easter Compton, Emersons Green, Filton, Fishponds, Frampton Cotterell, Frenchay, Hanham, Hambrook, Headley Park, Henbury, Henleaze, Horfield, Hotwells, Keynsham, Kingsdown, Kingswood, Little Stoke, Longwell Green, Lyde Green, Mangotsfield, New Cheltenham, Nibley, Oldland Common, Patchway, Portishead, Pucklechurch, Rangeworthy, Redcliffe, Redfield, Redland, Ridgeway, Sea Mills, Severn Beach, Shirehampton, Sneyd Park, Southmead, Speedwell, St Andrews, St Anne's, St George, Staple Hill, Stapleton, Stockwood, Stoke Bishop, Stokes Croft, Stoke Gifford, Stoke Lodge, Thornbury, Totterdown, Warmley, Westbury on Trym, Westbury Park, Weston super Mare, Westerleigh, Wick, Whitchurch, Windmill Hill, Winterbourne, Yate & Yatton. This website does not use first party cookies, but it does use third party analytical cookies. By using this website, it means you are okay with this. You can find out more information and learn how to manage your cookie choices here.